Will Preservation Easements Make a Comeback? The term “preservation easement” is commonly used to describe a type of conservation easement – a private legal right that an owner of a property would give to a qualified nonprofit organization or governmental entity for the purpose of protecting a property’s conservation and preservation values. The typical purpose of a preservation easement is to protect a property with historic, architectural, or archaeological significance. One example of a preservation easement is a façade easement. A preservation easement is a “partial interest” in real property – the property owner continues to own the property but transfers the specific set of rights represented by the easement to the easement-holding organization. Typically, a preservation easement protects against changes to a property that would be inconsistent with the preservation of the property, such as demolition of historic buildings, inappropriate alterations, or subdivision of land. The easement may also protect against deterioration by imposing affirmative maintenance obligations. The restrictions of the easement are generally incorporated into a recordable preservation easement deed that is part of the property’s title and runs with the land, binding both the present property owner and future owners. Conservation and preservation easements are created under state law. 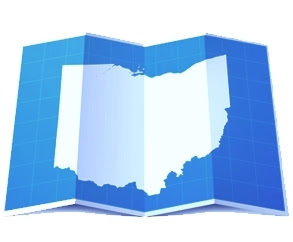 Ohio law for conservation easements is found at O.R.C. § 5301.67 et seq. As explained at PreservationOhio, preservation easements address five basic issues: (1) What physical features of the property are covered by the easement; (2) What activities by a property owner that could damage or destroy significant historic or architectural features are absolutely prohibited; (3) What activities are allowed, subject to the approval of the easement-holding organization; (4) What activities are permitted by the owner as a matter of right; and (5) what type of affirmative maintenance obligations are required to be undertaken by the owner. The easement will also address other “boilerplate” issues, such as insurance, public access, amendment, and casualty damage. The reason many property owners gave preservation easements to local preservation organizations was for the federal tax deduction. However, since to qualify for the federal tax deduction the easement had to be perpetual, if the easement wasn’t structured correctly, a property owner ran the risk of permanently transferring the preservation easement to a nonprofit preservation organization without qualifying for the deduction. That risk has been significant in recent years; so significant that the practice of donating a preservation easement has been dormant. The reason is the IRS itself. In the name of alleged abusive practices by certain nonprofit organizations, it went after the taxpayers who claimed the deductions, auditing them to challenge the deduction. In September 2011, in Simmons v. Commissioner, a three-judge federal appeals court in Washington, D.C., unanimously affirmed a tax court ruling in favor of a property owner that had donated certain preservation easements and had taken a deduction for it. While the decision is not binding on other courts, it is powerful guidance for other courts to consider in actions by the IRS against these deductions.